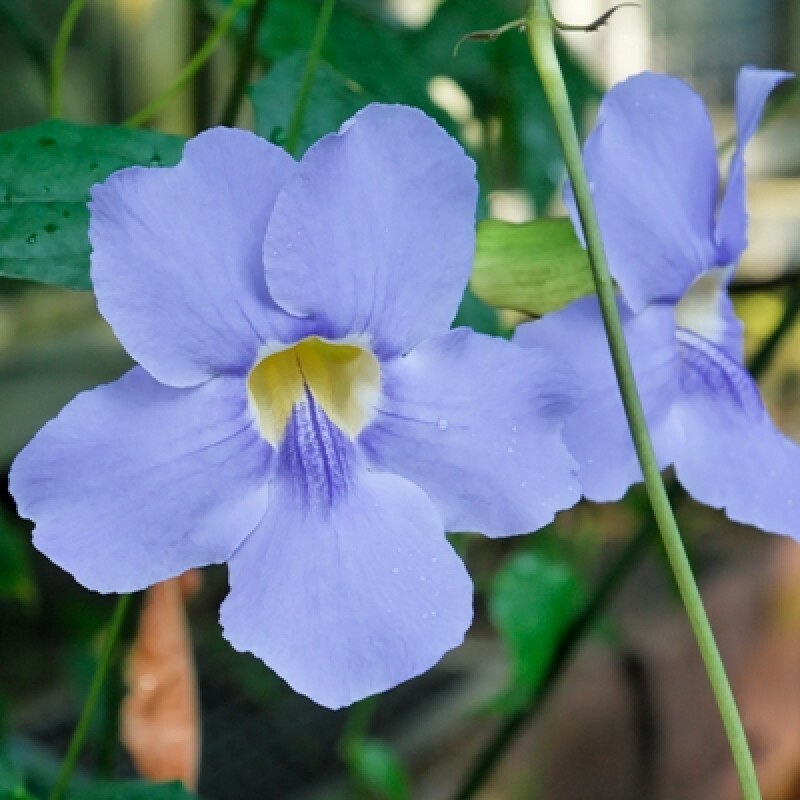 The Bengal Clock Vine has been called by some "the most beautiful vine in the world". From a distance, this twining, flowering vine looks like a morning glory and even up close the flowers are quite similar. The curious name clock vine comes from the fact that it twines around a support in a clockwise direction. It is a vigorous evergreen vine and native to northern India. From the rope-like stems, that can reach to the top of large structure or even cover a good sized tree, emerge the dark green leaves that are leathery and have a distinctive elongated heart shape, 4-5 inches long and often have a slightly toothed margin. The beautiful 3 inch wide pale blue or white flowers are cup-like with pale yellow to cream blue striped centers. This plant can be in bloom at nearly any time of year but will sulk during cold months. The rampant growth of this vine can be somewhat controlled by giving or withholding irrigation - once established it needs only be watered occasionally. Flowering: March-November.